South Africa is unique in many ways. We have a culture like no other country and it is also evident on our roads. We have road users that simply ignore the rules of the road as if there are no rules and some that are perhaps self-righteous and appear to think that only others need apply the rules of the roads. These are reasons that many drivers become enraged on South African roads daily. People let rip from the comfort of their driver’s seats and abuse other drivers visually, verbally and even physically. Instead of the anger and abuse, let’s express our disappointment towards rude and reckless road behaviour with a yellow or red card, exactly like a football referee. Let’s show a card instead of a finger. 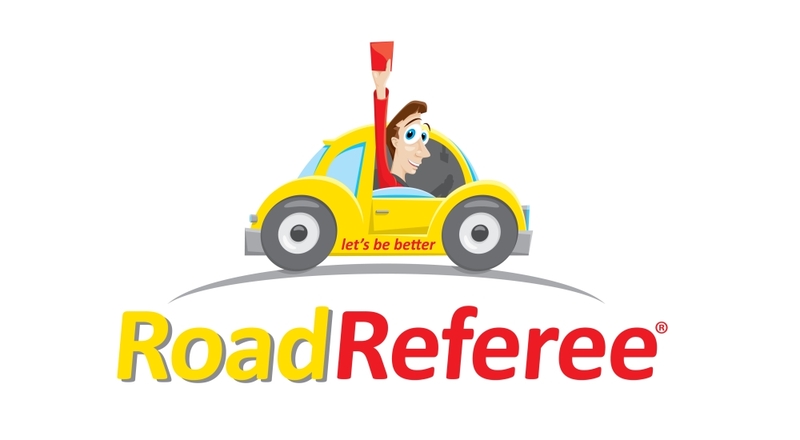 Road Referee was a “fun” promotional idea conceived during the 2014 Soccer World Cup. Bosun and SmartStone are sister companies that are manufacturers of concrete paving. Bosun’s colour is red and SmartStone’s is yellow, hence the idea of linking to a red and yellow card respectively. However, friends and family started asking for cards. People seemed to like the Road Referee principle but Bosun and SmartStone could not afford to donate unlimited amounts of cards. It was evident that we needed a distribution channel of some kind and a means of recovering costs. We simply wanted people to have access to the cards if they wanted them. We decided to find a distribution system that would put any profits in the hands of the unemployed so that it would be possible to promote the ‘Let’s be better’ element with clear hearts and by leading from the front ethically. We also realised that somebody might use the idea for personal financial gain and we didn’t want this to happen. We wanted to keep it as “pure” to the original intension as possible. The Road referee cards are therefore not branded with the logos of the founding companies. The guidelines are printed on the cards. Click here for more details. 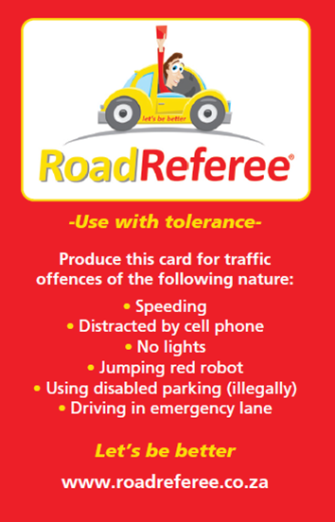 Use your Road Referee cards with wisdom and in a courteous, friendly manner. Having used them ourselves, we feel obliged to be better and not get a card shown at us. It really could change our road behaviour as a Nation.